Cruz Bay is the hotspot of St. John, taxis everywhere, music, and of course all the bars. But sometimes it's nice to get away and see what else the island has to offer. Coral Bay is the "country" side of St. John. 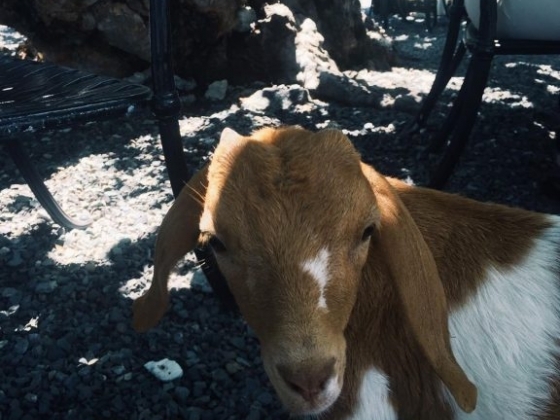 It's no surprise to see donkeys and goats roaming the roads, you'll even encounter some at restaurants with outdoor seating! Besides the quirky wildlife, Coral Bay is a beautiful part of the island to explore if you want to spend the day in this quiet and very unique part of St. John. 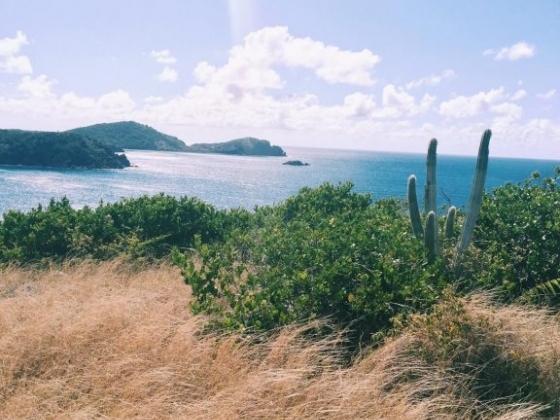 Coral Bay has some beautiful hikes that show some of the most pristine parts of the island. One of the most popular to do is the Rams Head trail, but if you're wanting to do something less with people and a little off the beaten path, the Tektite Trail has lots of great sights to offer and features some beautiful overlooks of the southeast coast of the island. It's a 0.7 mile trail that leads up an old Tektite road surrounded by dry forestry. The trail begins from a concrete roadway,across from a small parking lot, and there's a little white line on the concrete marking where the trail starts. There were so many spur trails throughout the whole area so I spent plenty of time taking each one and seeing where they lead to. It ended up being such a treat! As you get higher up the trail you catch a refreshing breeze and foliage such as barrel cactus and wild orchids surrounding each trail. There's several overlooks on the trail where you can see the rocky coast of Beehive Cove. Another great mystery on the trail I have yet to find is a small cave lined with Quartz all on the interior. But I still had a blast exploring the trail and all the land, spending a good 4 hours getting lost and finding some great spots to stop and have lunch, or just take in the breathtaking view of the Caribbean water. I would say this is about a level 2 hike, there's some steep parts depending on what spurs you choose to take. It's also a good idea to go earlier in the day before it starts to get hotter, which is usually around 11-noon. Be sure to bring plenty of water and a snack, and you're all set! After going on the trail I stopped to have lunch at Coral Bays well known local restaurant, Miss Lucys. The minute I sat down I was surrounded by chickens running around and I got greeted by a baby goat too! The courtyard style outdoor seating features a gorgeous view of the waterfront and was very family friendly. It only took about 15 minutes to receive the food, everything is made to order and prepared fresh, so I got a local favorite, the West Indies Fish Fry. 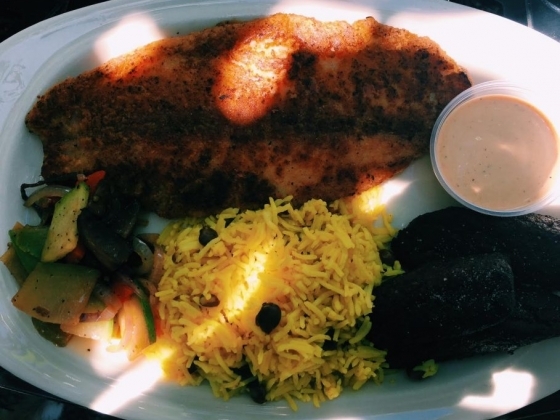 It was a large plate featuring fresh grouper, fried plantains, beans and rice, and vegetables. It was a very generous portion and I also ordered a side of Johnny Cakes, traditional biscuits with honey and butter to dip them in, yum! Overall the food was incredible and was packed with flavor and along with the great view and friendly vibes from the staff, it's a definite go-to if you're passing through. Coral Bay is an essential stop on your trip to St. John, it's a fun laidback place to explore and has plenty of animals, fun hikes and of course just like all over the island, delicious restaurants to try out.